Series: SELLING – how much activity should I be getting? How long will it take? A buyer passively considers a move for about 6 months. Then, actively shops on average 30-45 days for a home. What does this mean? You’ll get lots of looks from that 1st group asap but they’ll never set appointments. Then, you’ll get a lot of appointments in the first few days – these are the folks that have been looking 30-45 days. After that, they will trickle in only with about 1/30th to 1/45th of the same interest as you had those first few days. “Wow, I got lots of showings but no offers!” Possible reasons: You are the ‘early house’ on a 3 home tour. The best is usually the last shown. “Wow, I had a lot of looks online, but no showings!” Read on my friend……. How long should property be on market? You’re agent give you this info with the CMA report. It will differ based on season and how unique your property is. If you don’t give the agent a good amount of time to ‘develop’ the marketing, testing various approaches against each other, don’t expect their best in return. How many ‘looks’ should I get? Once the listing goes out to the public, its not just looks, but ‘lingers’ that you want. The back end stats will give your marketing expert details not seen out front. The magazine sites that purchase listing databases…they’ll show so some of this, but you won’t know who looked, motive, where they initially saw the offering, or why they are looking. When should I be getting showings? Online looks are a type of showing. Based on where they see your property and how/ where (online) they came to ‘look deeper’, they may or may not become physical showings. If you have a good number of looks from active marketing efforts – not just ‘lookey looks’ – you should have in person shows w/in 10% of the total marketing time being allowed (see #1). When should I get offers? After 7-10 showings or 25% of total marketing time being allowed. What to do to expedite the process? The more a listing MLS data is changed, the more you’ll look desperate. Carefully consider whether quick sell or highest price is of more importance – from the outset – lest those ‘days on market’ and ‘price change’ details start to scream out. Bad: rushing to market w/o preparing the staging looks all over the inside/ decorative highlights on on the porches/ decks, etc outside/ and honestly setting a price … that you would pay to buy it back from the lookers that won’t place an offer. More advertising will only hurt a listing making it stale and stigmatized if its not priced right and shows well … the first time. MY HOUSE SOLD IN A DAY ~ IT MUST HAVE BEEN TOO CHEAP! Seriously? One day one you had 6 months worth of lookers, 30-45 days of shoppers. If you 1. did your part to stage it, 2. the agent did their part to expose it with ‘a full deck of cards‘ on day one, and 3. you worked honestly together to nail down a price that is competitive, then this is your best expectation come to fruition. OLD LISTINGS GET STALE AND SELL FOR LESS! Leave a comment Series: SELLING – how much activity should I be getting? How long will it take? ON MARKET: 26651 Elk Run, South Lyon MI schools, New Hudson MI spotless 3/3.5/2 under $300k ! 3 Bd/ 2 Bth/ 2 car Columbiaville MI ~ lakefront home with extra lot needs some cosmetic updating. $300k range. Leave a comment ON MARKET: 26651 Elk Run, South Lyon MI schools, New Hudson MI spotless 3/3.5/2 under $300k ! Every year things change, so we have too! We formalized ‘Plan’ to help get to ‘Develop’ & ‘Execute’. Below are new tools for our goal, your ‘bigger picture’. tool helps you think about your bigger picture AND share it, so we serve you better. see YourSpace247 portal RH sidebar for new links to our knowledge base. – Permanent info for tax returns/ tax planning for future years. – Information for net worth. – Information for loan application. – Eldercare, estate, will & trust planning. The ‘starter’ YourNOTEBOOK (link in sidebar of YourSpace portals) is shown below. It will evolve based on YourVISION & changing needs. Not shown in the ‘starter’ YourNOTEBOOK are many more spreadsheets. The best, I think, are planning/ evaluating future cash flows. For example, what will be your expense needs against various types of later year income sources. Also, evaluate income sources against each other – plan a good mix of sources. ‘READ’ and ‘topics’ are active links, ‘tab’ is unique to and active from your spreadsheet. Notes to us Post notes/ links/ calculations here for open activity. INCOME TAXES Note to you We’ll post questions/ notes/ links/ calculations here for open activity for your feedback. Quick estimates Quick estimating. Useful at anytime either YOUR situation will change OR tax law OR both. Miles Useful for repetative reoccuring trips re: mileage travel. Miles/ Meals Useful when overnight stays are part of mileage travel. Home office Useful for local mileage and for rentals/ home office deductions. 1099 info Sample uses: Keep track of your year to year 1099’s being issued. Share info here if you wish these prepared. IMPROVEMENTS Assets Useful for insurance coverage, for buy/sell tax calculations, and for rentals/ home office deductions. SSA_Est.1 Plan your SS payout timing and spousal options during earning and/or payout. Consider using Roth before taking SS. CREDIT PswdMgr-Budget Make passwords easy for you/ hard for others. See your monthy & annual needs. Compare balances to pay down more quickly. AlaCarte-TxSvgs-RNW Preplanning a buy/ sell transaction can save you thousands. Request further information. DOCS_Reviews_Tax Document tracking. Simply copy/paste doc links from YourSpace. Parse & total stmts Copy/ paste your CC or Bk Stmts and easily total payee/ categories. Once setup m akes a breeze of use. PROPERTY TAX Property Basis Useful for insurance coverage, for buy/sell tax calculations, and for rentals/ home office deductions. MORTGAGES Amort See how to more quickly pay off a balance, especially if non-deductable &/or you can get a better ROI elsewhere. BUYING ADD THIS Docs-buy Document tracking, sharing. Copy/ paste YourSpace links here for all in one place quick access. SELLING ADD THIS Docs-sell Document tracking, sharing. Copy/ paste YourSpace links here for all in one place quick access. LANDLORDING ACTIVATE ROI Calc Compare investments held. Includes appreciation, rent/cash flow, tax savings. ACTIVATE Valuation Evaluate home for selling, buy offers, tax protests. Includes seasonal & condition adjustments & market time considerations. RELO EXPLORE Relocation Evaluate a list of agents/ brokers, selected, screened, and parsed by various criteria. Purch/ Refi Qualify How size loan/ home can I afford? Can I qualify for refinancing? Rehab Tracking Track rehab project expenses-to-date for you or your property management team. Tenant App Online input tenant application for prospective tenants. Tracking Keep log of timing & method of tenant interactions to support statutory compliance. Annual Estimate Plan the amount you expect for annual income/ expenses and required payroll(s). Payroll card Track withholding with end of quarter and year to date totals. Quarterly Est Track 941 and MISUW deposit requirements. YearEnd checklist Keep books up to date with year end entries. Stay compliant with meetings and minutes. Timecard Employee and contractor charges/ payments/ and payment threashold triggers. * The above is for informational purposes only. 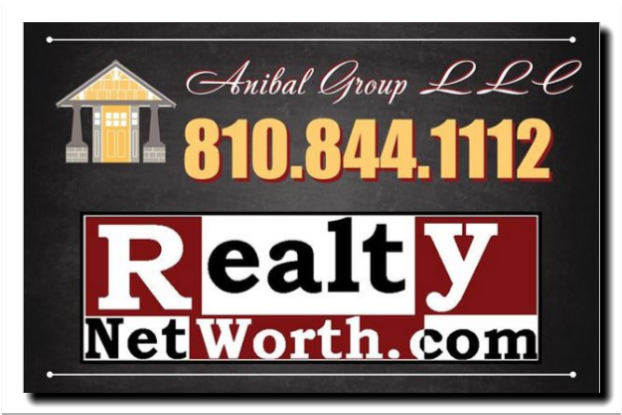 Anibal Group LLC is not offering professional advice & this article is not to be considered advice specific to your situation. Your decisions should involve professionals of your choice re: insurance, legal, banking/ lending, structural/ property condition, and other transaction significant matters. We can offer referrals. buyers – valuations/ closing costs/ pricing/ estimated time to market, etc. By the time you see these, they’ve no doubt been updated. One great advantage for you will be that these are ‘live’ and interactive. We can edit formulas/ ‘what if’s/ and make clarifying graphical changes to your taste, in real-time, during a phone chat! Look at the tab names on the bottom. What can you think up that I can assist with? IN RELATED SERIES POSTS: I’ll share REAL ESTATE and ENTITY ‘frequently used tools’. … a small business or 1099 contract income? … an entity such as S-Corp, LLC, or Partnership? … using property as home office, land storage rental, pole barn use, attached apartment for related/unrelated, or VRBO.com style letting? … college (or other) housing for student/ child? … providing housing for parent? … vacation/ seasonal property that may have mixed use? … relocation related to work? Miles Useful for repetitive re-occuring trips re: mileage travel. Once you’ve physically or mentally passed to the next realm, you will leave some situation for family. Complicated interactions, probate and extra taxes may be the gift you leave. Or you may set up a trust. Joint property ownership, or payable-on-death transfers or accounts can also avoid probate. Be careful about the taxation consequences of these. List out for assigning all of your assets to the trust that you wish to avoid probate. Include wording for any additional assets so they may ‘pour over’ into the trust. Retirement accounts and insurance policies generally aren’t subject to probate. While alive, you have control to change, or even revoke it. Revocable trusts don’t require a tax return. This type of trust is part of your estate & won’t offer much tax benefit or asset protection. An irrevocable trust can, but once set up is difficult to alter. Further benefits are clarity and control. You may detail how your assets are distributed to beneficiaries and avoid much family conflict. For younger ones, a trust can outline ages and conditions they receive what part of their inheritance. A special needs trust is a form of revocable trust designed for dependents with disabilities. Social Security allows disbursements without disqualifying them from Social Security, Medicare, or other benefits. If you use probate things can complicated since probate files are public record, trusts are not. As always, seek legal, tax, and financial feedback from advisors in all areas. Leave a comment SERIES: Home Care ~ Really Cold Outside? Turn Heat UP, not Down! How much you can SAVE on INCOME TAXES using a REALTY BROKER (us) that gives INCOME & PROPERTY TAX ADVICE in the professional service package & offers ALA CARTE BILLING? SERIES: Your net worth strategy just changed with the tax law changes. The ‘Portfolio Approach’ has never made more sense than now. Think about if you have, had, or are considering any of the below? Leave a comment SERIES: Your net worth strategy~Another RNW Brokerage Perk: Income Tax Savings. Here’s an example day visit to somewhere you may have considered buying. It could be Savannah GA, or Hilton Head SC, Charleston SC, Myrtle Beach, NC, VA, or Maryland as well. 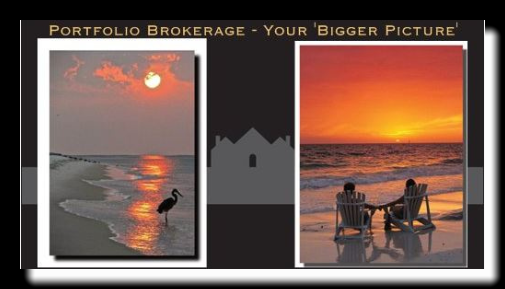 Yes, we broker in MI, FL, and meet clients at all points in between. Michigan Retirement Benefits – what’s taxable? Leave a comment Vacation & relocations: Savannah GA. Meeting you where & when you move. I’ll match your charitable contribution w/up to 10% of our commission. Simply choose your charity when initiating services. Your local charity that assists people with basic needs & support. Like your charity added to my giving list? Please provide contact info, web link and photo to get started. Reminder Emails I'm looking for assistance with property - would like more information. Here’s some of the worst mistakes sellers make. The big reason I use an in-depth approach model to a pricing range is because I feel is THE Most important aspect of the selling experience. Buyers have had their search app set to send them updates. Overprice and you’ll show up in searches of properly priced homes. ‘Days on market‘ ? What does this mean to you? No other brokerage uses our valuation model OR our approach to prevent the ‘stale’ listing. Flowers, lawn, edging, lights (if eve). If it doesn’t draw the eye away from the next house, buyers have already started to look for reasons they don’t like the inside once they step through the door. Selling a house, car, or garage sale items … dirty, and non-functional aspects are over emphasized the potential buyers mind(s). Clean and fix as if you are looking to buy it! This includes emptying storage areas and staging…without clutter. You’re not selling a candy bar – do the work, glean the $’s. Sellers that won’t take my word for it should get an inspection up front. Why? You can present it as part of the marketing material and avoid the offers that try and hustle the seller after tying up the house with ‘nit pick’ things that you should have attended to before. Fix it, or disclose it before they write – thank me later. Why are sellers shocked that buyers also want the best deal? Its numbers. Lets update the valuation spreadsheet, then as dad said ‘tell them what you WILL do, not what you won’t’…. the house is sold, if you want to buy it back, state your price. Do those home sites make you wonder what you are getting. Lots of ‘hits’! Are they qualified buyers or just ‘photo surfers’? Lots of showings. Ready to act buyers? … or agents using your house to compare against? The data you need to make a big decision. ‘Drill down’ marketing to bring ones that really want your place (and will pay for it). Comparative Market Analysis (CMA) that takes more than a few minutes. Most are very over-simplified. Zillow reviews. Website that showcases your property ONLY without distracting ‘click-aways’. Marketing using specific demographics & interests unique to your offering. Videos of your property and area. Your own portal space – 24/7 access. Leave a comment Selling a house: Sellers do you hurt the process? Just finished another years course work. Again, I try to take a curriculum I feel most benefits my clientele. So what kind of classes do I take? Outside of classrooms, I’ll purposefully engage in ‘real life experiences’ that would tend to enhance skills & knowledge to pass along. This includes recent visits relating current, past, and prospective relo clients that encompassed much of the east coast including Maryland, DC, Virginia, NC, Charleston/ Hilton Head SC, and Savannah GA. Projects included a roof tear off replacement & insulation upgrade. Those 90 bundles went on easier when I was young, the 2 layer tear off ?, no fun! When the seller needs additional time after close and plan post-close occupancy, buyers may wish to consider some ramifications. Will this effect your financing? How about insurance issues? Who will cover costs? … repairs? … substantial losses? Use and Occupancy Agreement – Seller to Remain: Principle residence – form/agreement, general in nature. License for the Limited Use and Occupancy Agreement – form/agreement, more specific in nature for use of subject premises. Ask Lender: Will non-owner occupancy effect financing? House burns down – sellers is living there – post close, who pays? House burns down – sellers has not surrendered keys, not living there but has possessions still there – post close, who pays? Slip n fall – who pays? Appliances included break, drain or HVAC fail – who pays? If the seller pays $X/day for more than 10 days overstay, is this rental income? f ) whether the occupant is free to leave at any moment. Seller pays per diem amount of $____ ( Usually at least covers: mtg pyt, ins., taxes). Escrow held to be released after surrender of keys and complete removal all items & debris not included in sale. ‘Broom clean’ vacating includes but is not limited to: house/ garage/ attic/ yard/ out-building(s)/ with no trash remaining at curbside. Escrow for potential damage, hold-over, & buyer satisfaction of post move-out inspection $____ (e.g. : 3% of purch. price). After _____ days (e.g. 30), per diem occupancy will increase to $____ (e.g. 1.5 – 2X otherwise). Seller is responsible for risk of loss during post close hold over & will deliver in good working condition, the property, items included w/ sale, HVAC & plumbing. Buyer may enter premises at any reasonable time to inspect property. Please seek you own professional legal, tax, real estate, and insurance advice – not to the reliance of this article. A significant part of any move, relocation, addition of 2nd home, or estate plan involves taxes; income taxes & property taxes for starters. Hence, below is a primer how to not accidentally double your property tax bill, or conversely, overpay if not need be. Principle residence: Plan to return after ‘short absences’. Assessor will look at: min 6 months per yr occupancy, mail, driver license, voting registration, utility usage consistent. Trust will allow PRE to the grantor in most situations. Does not apply to family LLC’s or other entites. A residence that has been transferred into a Limited Liability Company, a Partnership, or some other legal entity will cease to be qualified for the principal residence exemption. May 1 for summer tax bill, Nov 1 for winter tax bill. Best to rescind one no matter if it is across town, across the state, or across the country. What address and filing status (‘joint’ or ‘separate’) do they file on 1040? Can you demonstrate per ‘principle residence’ definition above that it is indeed your princ. res.? Scenario #3: Current house for sale, new house already purchased. State of MI realized homes are not always bought/sold simultaneously. Further, during ‘down’ markets – or slow times of the year – homeowners may wish to time the sales process of the old home. Hence, you may have an ‘on-market’ home still receiving a PRE for up to 3 yrs. Leave a comment My Continuing Education, your benefit. New tax law – new strategies. Then I invite you to sit down and chat about your portfolio/ homes/ vacation residence/ elder care and college town houses. Standard deduction – way up. Itemized deductions – far less valuable. Misc employee exps – gone. State/local & property taxes capped at $10k total. Planning point: move expenses to other places or eliminate them because they have less/no value. LLC’s, S-Corps, Partnerships enjoy new 20% deduction. Leave a comment New tax law – new strategies. ‘Pocket Listings’ Who loves `em/ who hates `em & why? Isn’t everything done best via the MLS? Lets look. Often seller(s) who want a highly controlled, minimally invasive, & best outcome approach to the selling process… a “rifle style”. The agent/broker who wants to take the time, target the marketing, minimize interference without publishing so much history and pricing data that it works to the buyers, not yours (the seller’s), favor. The buyer or buyers agent that wants as much control over the seller and their ‘story’ as possible. The friends that want to know know more about you! A less than scrupulous agent that wants to put your house on ‘the tour’. In reality your home is a stop on the way to the one they want you to write an offer on. Perhaps look at it this way: Do you prefer thousands of curious lookers, or the highest thousands of $’s? Like to talk further ? Leave a comment ‘Pocket Listings’ Who loves `em/ who hates `em & why? Selling a house? vs. Online dating. Selling a house ? Its about 1 buyer, not ‘# of hits’, not ‘# of showings’. 35 yrs as a Realtor/ Broker, always as an independent, not a franchise. Why? Those ‘online dating’ sites make you wonder what you are getting. Wow, lots of lookers! Are they potential/ qualified buyers or just ‘photo surfers’? Ya, lots of dates – aka: showings. But again ready to act buyers … or just neighbors getting decorating ideas or agents using your house to compare against the one they plan on showing after yours? All the data you need to make a big decision? ‘Drill down’ marketing that will bring out the ones that really truly want your place (and will pay for it)? Comparative Market Analysis (CMA) that takes more than a few minutes. Most are very over-simplified in methods AND accuracy? See my Zillow reviews. Website that shows your property ONLY without distracting ‘click-aways’? Web advertising using specific demographics & interests unique to your offering? Videos of not only your property but also the area leading to your home? ‘Adwords’ on different search and social platforms? Your very own portal space – feedback and doc’s area to enjoy (or ignore) 24/7. Summary: Make sure your selling agent/ broker can get past the ‘plug into’ format. Quick-n-easy tools are great for the new agent – often simplistic/ standardized. Are they best for you? Remember what you need. A buyer – 1 buyer to be exact. Are the 1000 hits and 25 showings qualified and interested? or curiosity seekers? It is the ‘drilling down’ on that 1 unique buyer to get the best price with the least interference, at least in my approach! Leave a comment Selling a house? vs. Online dating.